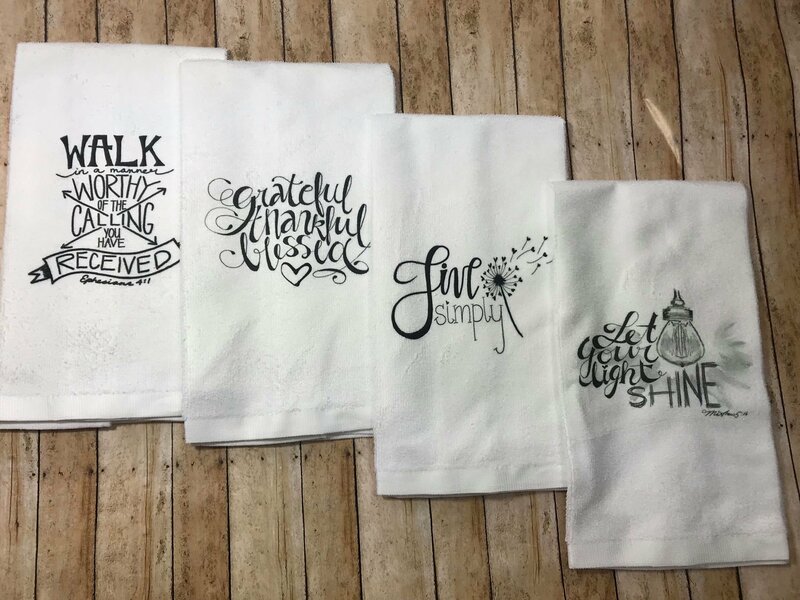 These beautiful, hand drawn kitchen towels are sure to be the perfect "go-to" gift for a hostess, teacher appreciation, get well, thinking of you, or just because! Or purchase them to grace your own kitchen. They are printed using zero vinyl, are fully machine washable, and are quite soft.